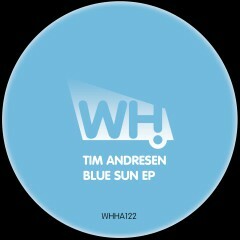 Tim Andresen’s passion and dedication for the real club scene can’t be underestimated. Based in Copenhagen he has been the resident DJ at the famous Culture Box since 2005 and now runs two successful record labels. He also performed in countries all over Europe and far-flung destinations in Asia and South America while continuing his lifelong relationship with the music. He is an artist who follows his dreams through equal parts of talent and hard work and he enjoys the writing, production, engineering and arrangement of his own records. This is exactly how it should be if you ask us. He recently boosted his production portfolio with tracks on Re:FreshYourMind, Younan Music, Ready Mix Records, Savoir Faire Musique and our own What Happens label. We are very excited to bring you his new three-tracker featuring a beautiful mix of deep grooves and lush melodies.